Steep slides at Aryzta and Paddy Power Betfair helped pull the Iseq index of Irish shares lower in late afternoon trading yesterday. The Cuisine de France owner plumbed fresh lows amid negative sentiment around its heavy debt load, and the pace at which the debt is being reduced. It was down almost 8pc at less than €8.89 around 4pm in Dublin yesterday. Bookmaker Paddy Power Betfair was down almost 7.2pc after a posting a mixed bag of results for the first half. Revenue and profit after tax grew year-on-year in the first half. But the company is facing a new betting tax in Australia that is set to pose a significant headwind. In addition it said it would absorb losses from an acquisition in the US, where the betting market is set to be significantly liberalised. On the other side of the board, Ryanair was up despite fresh industrial relations headaches, as German pilots announced strike plans. The Iseq was down just over 0.6pc around 4pm. US stocks erased early losses prompted by renewed trade fears as gains in mega-cap technology shares left major benchmarks little-changed. 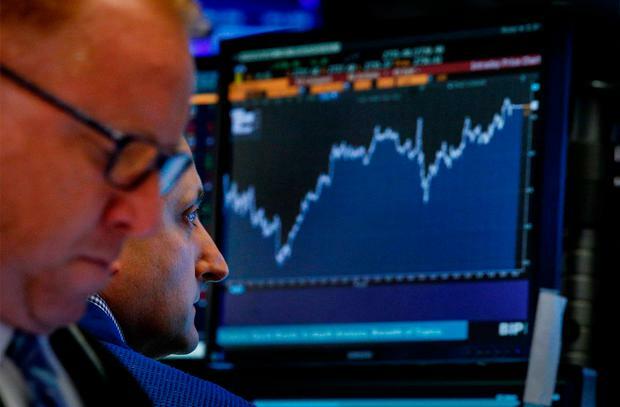 The S&P 500 Index was flat after a four-day advance as Washington and Beijing set dates for new levies on billions in goods. Trading was 20pc below average. Tech and bank shares buoyed stock measures, while energy producers led losses after crude slipped below $68 a barrel. Disney dropped on its results. Canada’s dollar was unchanged and stocks edged higher after Saudi Arabia was reported to have started selling off Canadian assets as part of a diplomatic dispute. Traders remain on edge as global trade tensions welled up again, with the US saying it will begin imposing 25pc duties on an additional $16bn (€13.8bn) of Chinese imports in fortnight with China set to retaliate. In Europe, Italian bonds outperformed as Prime Minister Giuseppe Conte reassured markets. The rouble fell the most since May and Russian stocks and bonds tumbled after local media published the full text of a US bill seeking “crushing sanctions” for election meddling.